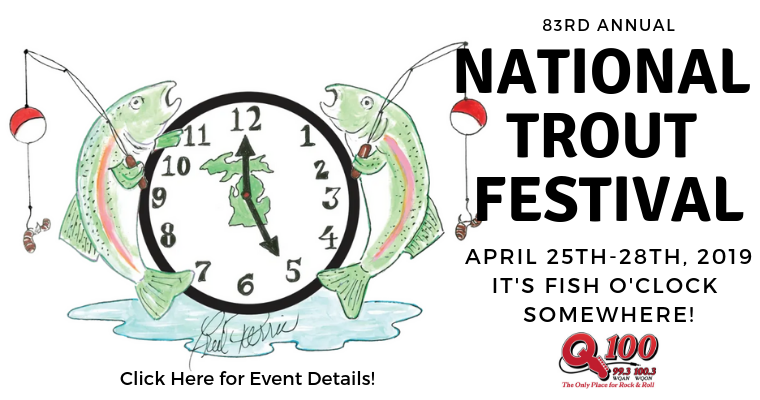 Join Q100 Friday, Saturday and Sunday from the 83rd Annual National Trout Festival in Kalkaska! Q100 presents the SUBWAY OFFICE INVASIONS!!! The Q100 Q-Crew will invade the monthly winning office with Subway sandwiches and other surprises. 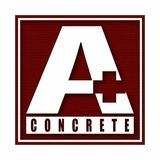 Lunch is valued up to $50. 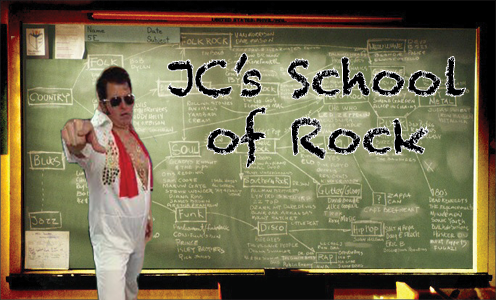 JC's School of Rock! 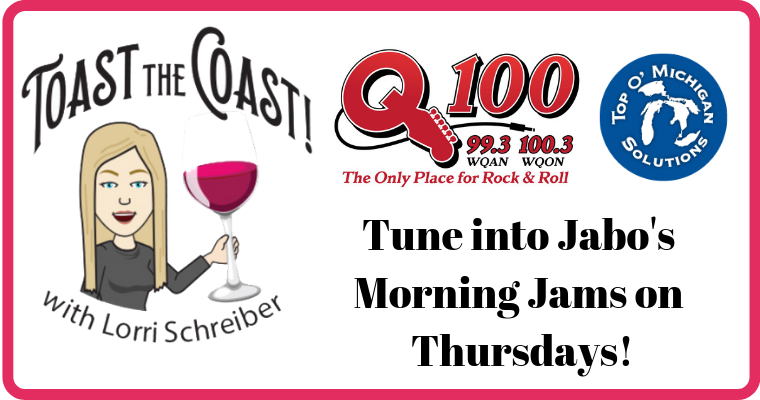 Tune in Monday through Friday for some good ol' Rock and Roll History from JC where you can then share your thoughts and opinions. 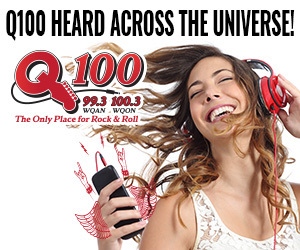 Q100 The Only Place for Rock and Roll. 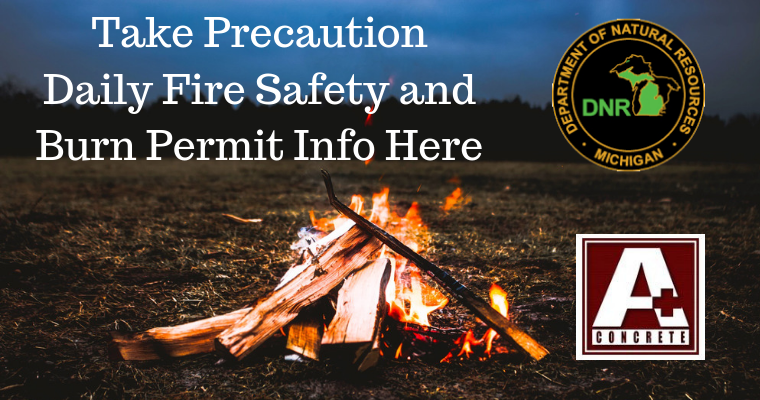 Now, 99.3 Traverse City and 100.3 Grayling. So you think you know funny? 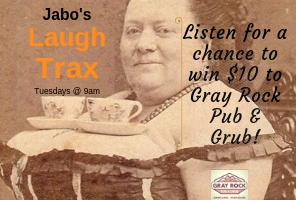 Test your comedic IQ, listen for Jabo to sound the Laugh Trax of the Day, be the first person to call with the correct comedian at 989-348-7100 and you could win $10 to Gray Rock Pub & Grub on Industrial Dr in Grayling. 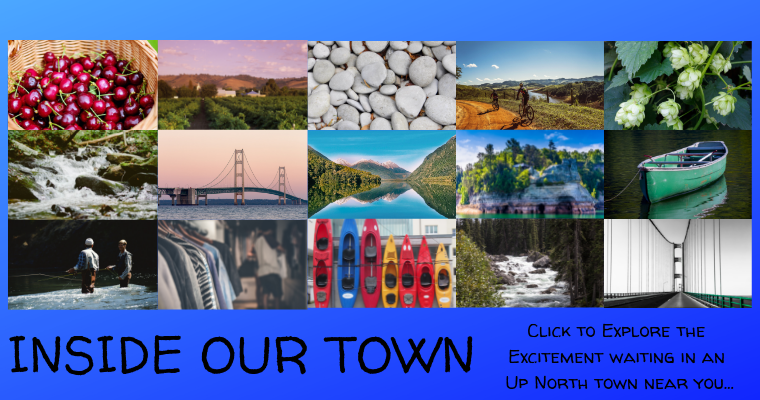 Tuesday Morings at 9am on Jabo's Morning Jams. 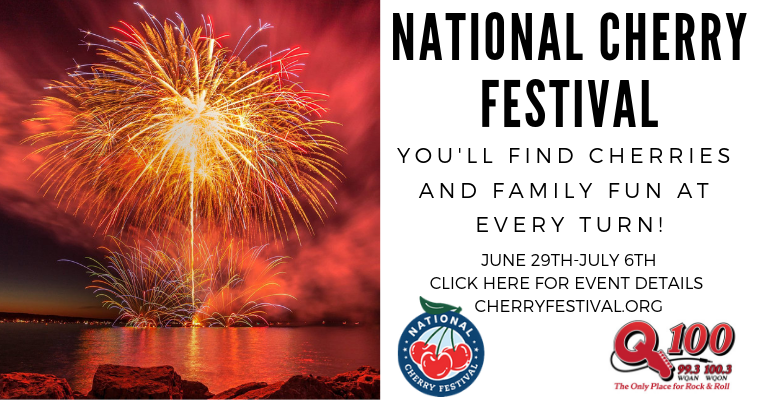 Join Q100 throughout the week while we broadcast live from the 2019 National Cherry Festival!